Last night I washed and beheaded that big bowl of strawberries I picked on Sunday. With the tops it ended up being 5 pounds 12 ounces of strawberries! This is my first significant strawberry harvest. I’m so pumped! I wanted to get the majority of the berries in the freezer right away because I know that another bowlful will be coming out of the garden later this week. There are a couple of ways to freeze berries. One way is to throw them straight in the freezer from the garden before you wash them. They can’t be wet or else they will freeze in a big clump. With this method you have to remember that the berries are unwashed, so when you pull them out to use them you have to wash them then. My berries were really, really muddy though from all the rain last Saturday, so I had to wash them off first. 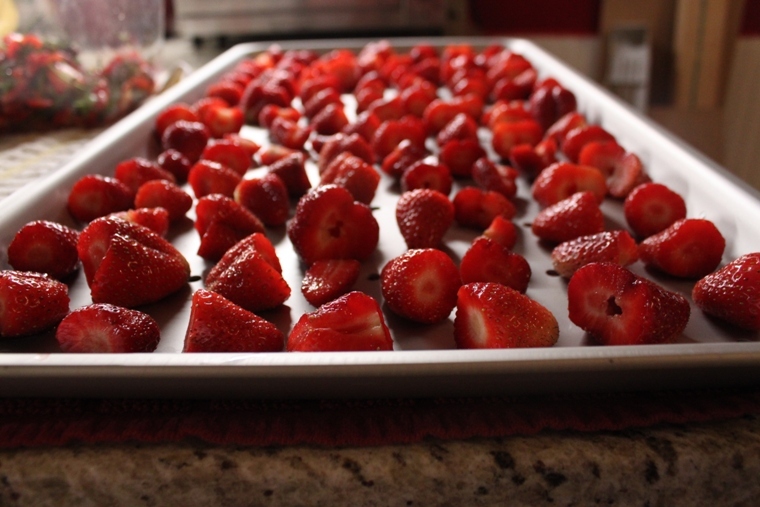 In order to freeze berries after you wash and take the tops off, you need to spread them out on a pan in a single layer without their sides touching. Then stick the pan in the freezer for a couple of hours. Once the berries are frozen, remove them from the pan and place them in a freezer bag. This way they are individually frozen and you can pull out however many you want. Even though I filled up that entire pan for the freezer I still had berries leftover. So for dessert I whipped up a quick fondue using a special treat I picked up at the store on Sunday: Artisana Cacao Bliss. 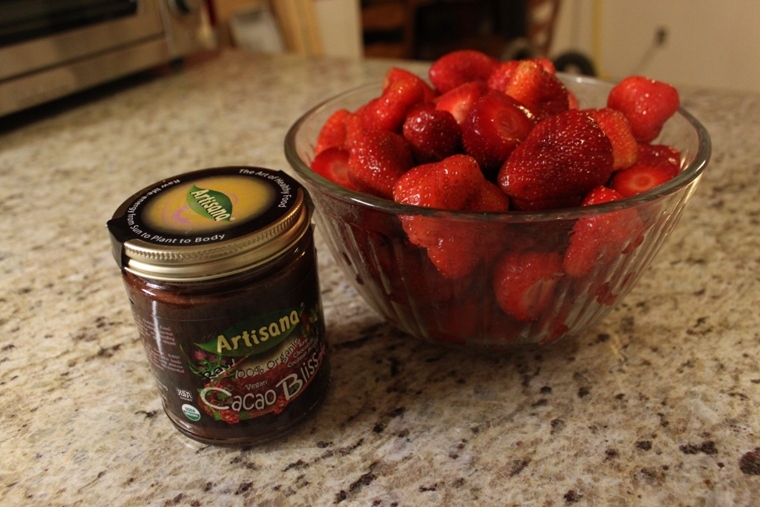 The Cacao Bliss is hard in the jar so you have to heat the whole jar up a little bit first. Then scoop out the tablespoons into a little bowl and add the maple syrup. Heat that concoction up for about 20 seconds and stir until smooth. 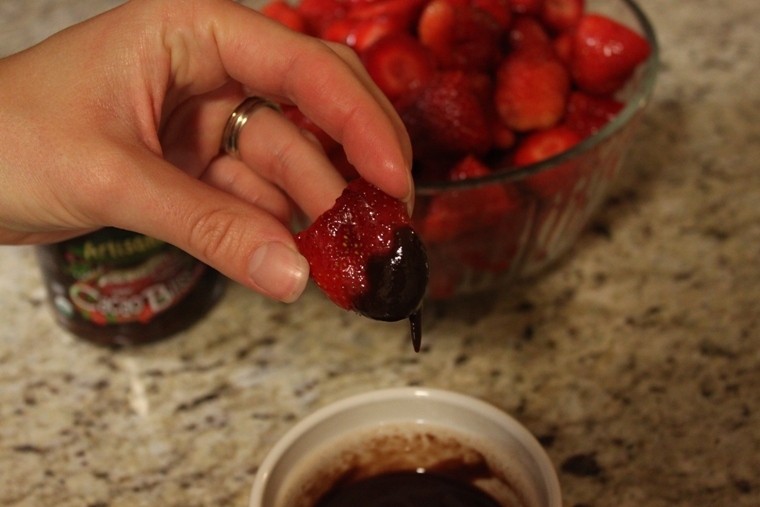 Dip strawberries and savor every moment. The mini fondue was just enough for Benzo and I. It was SO GOOD. 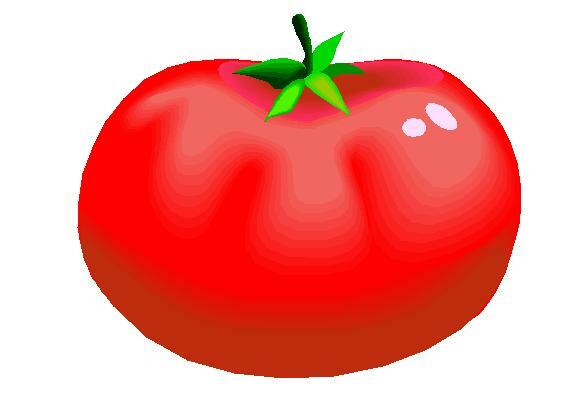 With all these strawberries lying around I could see myself eating this every single night. I’m afraid my jar of Cacao Bliss will be gone before I know it! I know what did people do before microwaves? I can’t imagine!